Hello and welcome to the Papertrey Ink Stamp-A-Faire Design Team Blog Hop! For those of us who are all stuck at home and unable to make it to the event, no worries, there are still a number of ways for us to be included in today happenings. 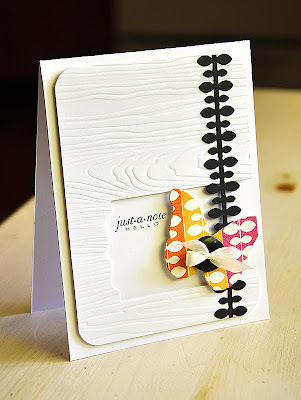 Like today's Design Team Blog Hop! We, the design team, are bringing you samples of the FREE limited edition stamp set, Iconic Images. Iconic Images will be available, for free, to anyone who places an order of $100 (or more) between 9am EST, July 23rd and 11:59 pm EST, July 24th. Please refer to Nichole Heady's blog for all the details. Also, be sure to stay tuned into Nichole Heady's blog, she will be doing several giveaways and challenges through out today. Some of the prizes offered up will include this gorgeous set, Iconic Images. I love a good timeless look, whether it be through an outfit, home decor or especially a stamp set. Iconic Images is exactly that, a set full of wonderfully timeless and classic images that I can turn to time and time again. It's a look that will never be "out of style" and looks great no matter what style I'm going for that day. It's also a set perfect to pair with a number of techniques. For my project today I've taken a couple images and inked them up in different shades to achieve a two-toned look. I've paired Iconic Images with Background Basics: Vines to create the card base. Using the double vine stamp strip, I inked up one side with Spring Moss, then the other side with Simply Chartreuse and stamped onto a Rustic White card base. 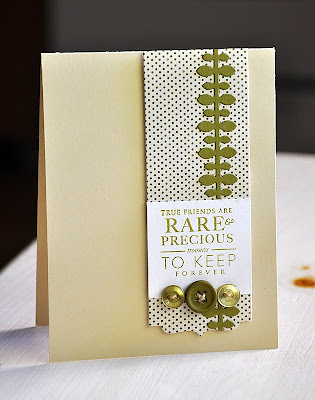 This technique adds a bit more interest to this simple background stamping. For a bit more of a realistic look, I applied the same two-toned look by inking the Iconic Images pitcher in Summer Sunrise and Orange Zest inks. 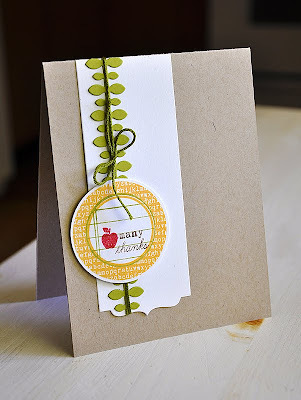 Stamped it onto Rustic White cardstock and cut it out. I then stamped a die cut Half & Half strip with the stems and flowers, attached the pitcher and adhered the strip to the card base with dimensional adhesive. Stamped an Iconic Images sentiment, in True Black, and embellished with an Orange Zest button and Silk Ribbon. Hi all! 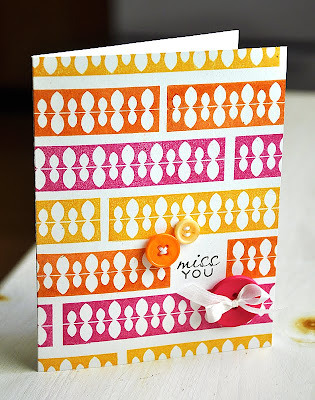 I've finally returned to bring you the rest of my Papertrey Ink July release projects. 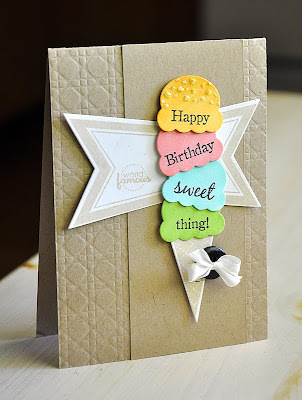 Allow me to share... First up, I used one of Melissa Bickford's new sets, Hanging Out, to create this adorable single layer card. Stamped the clothing line just over the edge, leaving room for the sentiment. Along the base, I stamped the grass strip twice, first in Simply Chartreuse and then in Spring moss. Finished the card off with a few black rhinestones. Next up, another Melissa set, Flower Fusion #6. I stamped a die cut Half & Half with a strip of grass (same as above), Flower Fusion flower and a Flower Fusion sentiment. Wrapped with ribbon and attach to a kraft card base with dimensional adhesive. Last, but not lease, Melissa's Sweet As Can Be. The card base was impressed with the Cane Print Impression Plate to give it a waffle cone texture. To come up with the perfect sorbet colors, the ice cream scoops were die cut from Rustic White cardstock and then colored with Copic Markers. Stamped each with a portion of the sentiment and stacked them onto an Ad Sense frame. That's all from me today. All supplies used are listed in the Papertrey Ink gallery. Thanks for stopping by and have a great one! 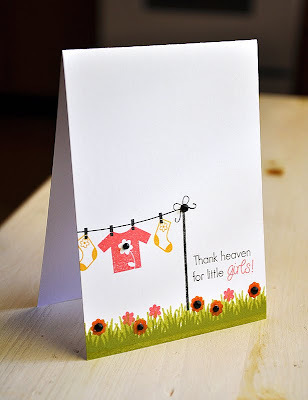 Since the Papertrey Ink July release has come to an end, I've got the rest of my release cards to share with you, a few today and the rest tomorrow. So, let me get started!... 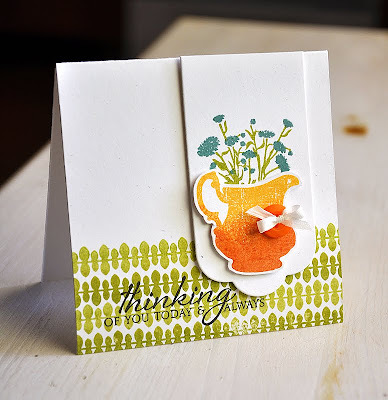 First up, a single layer card featuring Lisa's new set Peaceful Garden and Think Big Favorites #6. 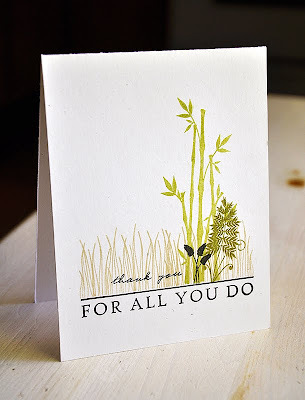 Selectively inked "for all you do" and stamped it at the bottom of a Rustic White card base. Then stamped a peaceful garden and "Thank You" above. Next up, Heather's Tag-its #6. 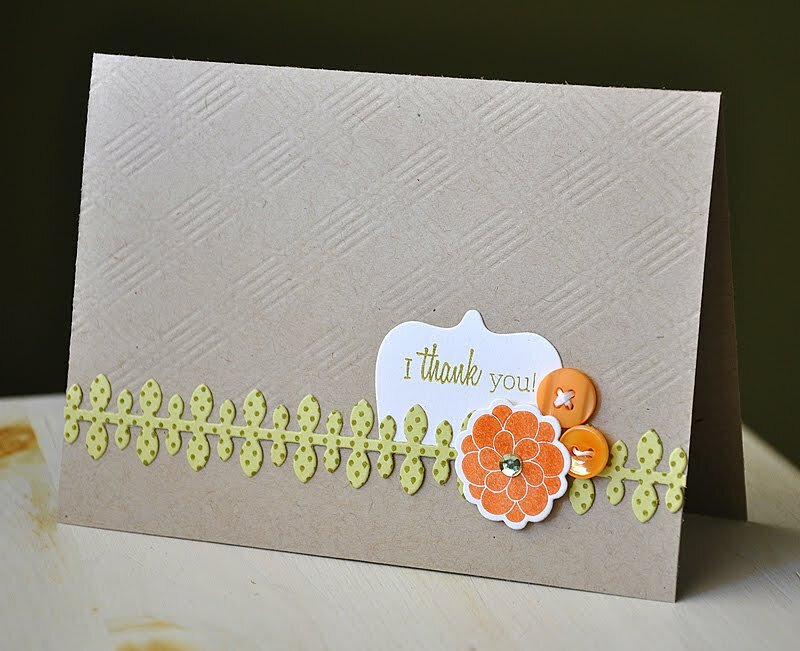 I embellished a die cut Half & Half strip with a die cut Leafy Vine Border, wrapped with embroidery floss and attached. 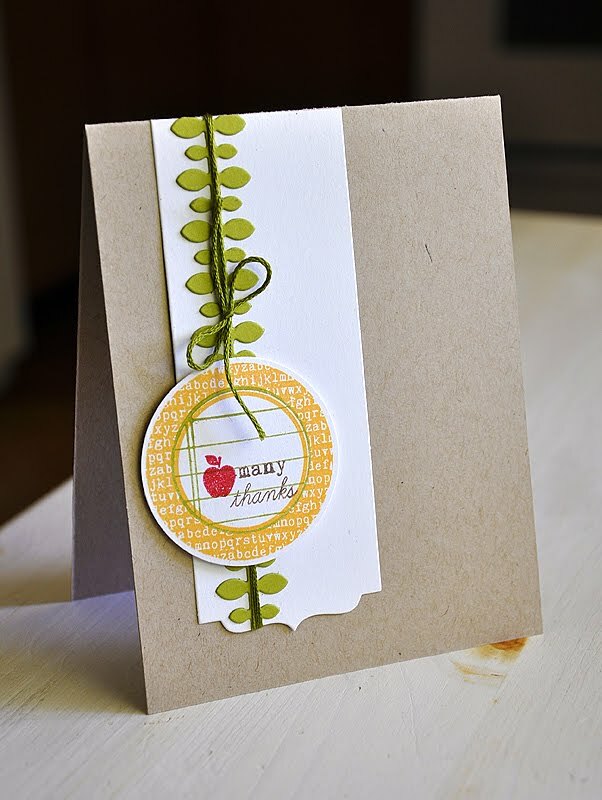 Stamped this cute circle tag in Summer Sunrise, Simply Chartreuse, Dark Chocolate & Pure Poppy. How about some of Nichole's Congrats All Ways?! I paired it with my new set Background Basics: Vines and the flower image from Tag-its #5. 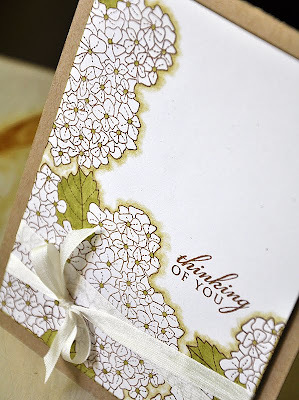 I incorporated more of that gorgeous clear embossing detail over the stamped sentiment and flowers. I am loving this effect! Lastly for today is Friendship Jar Summer Fillers. I took a different approach with this set... and stamped the hydrangeas along the edges to surround the Little Labels sentiment. Colored and shaded with Copic markers and wrapped with silk ribbon. Yay! It's day five of the Papertrey Ink Countdown! 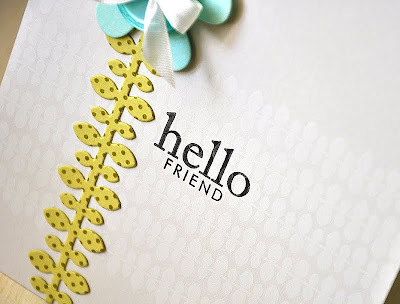 And that means.... all that you've seen peeks of these past few days (Background Basics: Vines & the Leafy Vine Border Die) will be available tomorrow, July 15th, at Papertrey Ink. Also, since today is the second Group Post day of this Countdown week, check out my first post of the day, here. For this bright little number, I started by die cutting one of the Half & Half dies from a white cardstock panel. Then rounded the corners of the die cut panel, impressed it with the Woodgrain Impression Plate and attached it to a white card base. Die cut and attached a True Black Leafy Vine Border across the card. Do you recognize this little fluttery butterfly? He was left over from one of yesterdays cards, here. He was perfect for today's card. So, I lined up his little cut wing with the borders of the die cut panel and attached him within the die cut opening. Finished the card off with a sentiment from Little Labels and a True Black button. 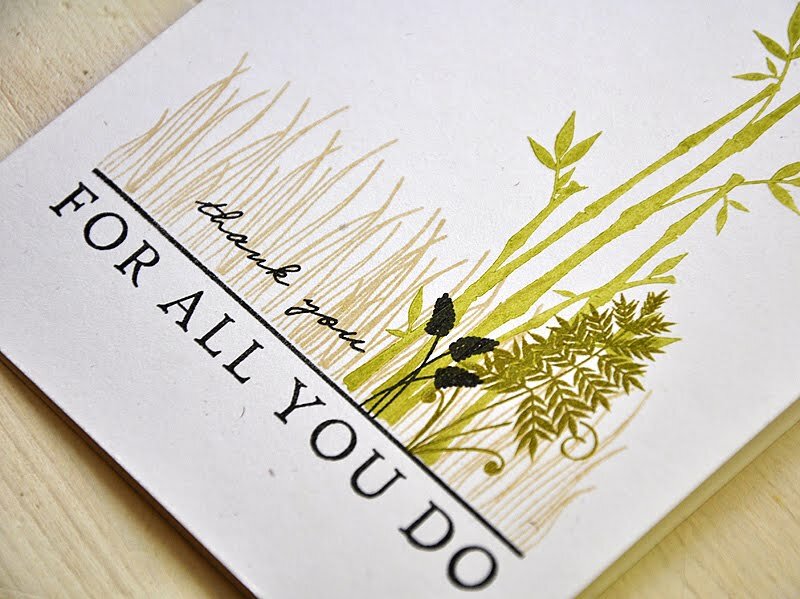 And lastly, a sweet and simple thank you card. I stamped a kraft card base (card base measuring 5 1/2" X 3 3/4") with a vine border in Fresh Snow ink. Colored the open leaves with a few Copic markers. 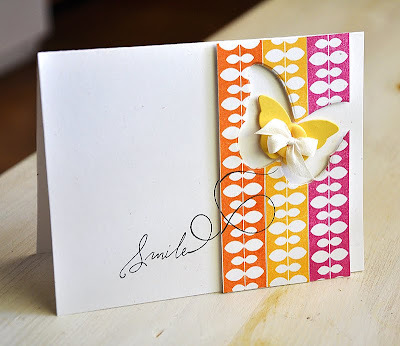 Using a die cut and impressed Half & Half scrap from the card above, I embellished the left edge of the card base. I then topped it with a button and a silk ribbon bow. Finished the card off with "Thanks" (from Think Big Favorites #6) stamped along the center of the vine. Background Basic: Vines - includes 3 background/border images and will retail for $15 at Papertrey Ink. 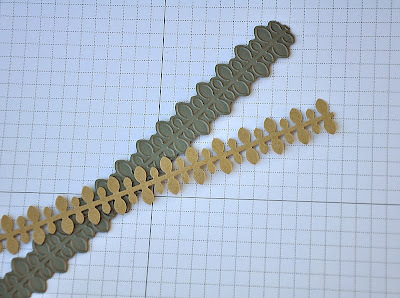 Leafy Vine Border Die - coordinates with Background Basics: Vines, measures 8-3/4" x 3/4" and will retail for $6 at Papertrey Ink. Hello all! Today is the second Group Post day at Papertrey Ink. This time around each of us, on the design team, are showcasing the set Tranquility Trilogy, that Nichole Heady designed. This is yet another unique and innovative set that's coming out for the month of July, and it's a stunner! 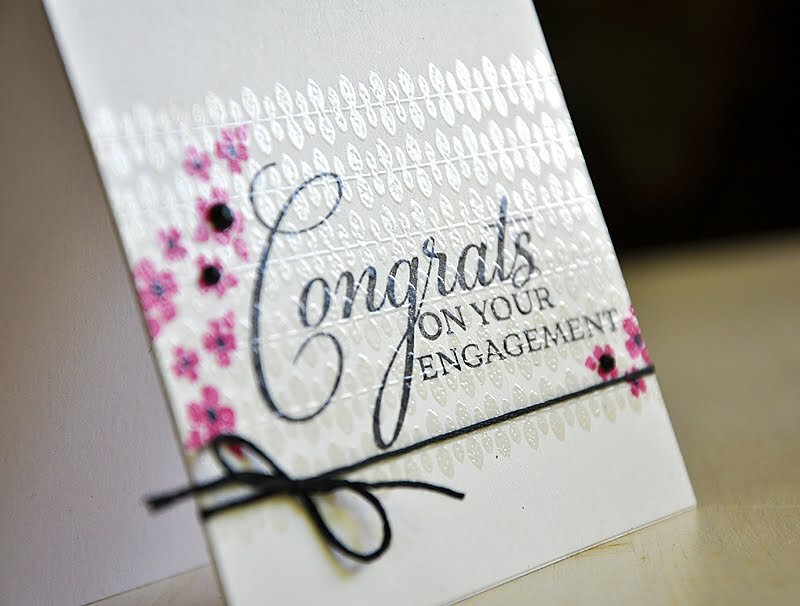 A family friend has recently gotten engaged. She's getting married later this year and I've gladly accepted to help make the wedding invitations. 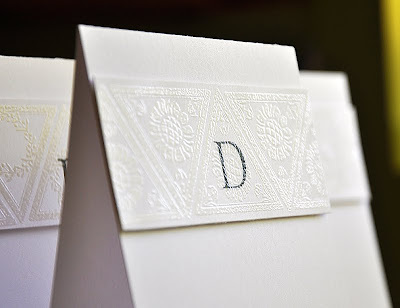 Today's Tranquility Trilogy group post gave me the jumpstart I needed to assemble the perfect engagement gift just for her, a set of monogrammed cards. 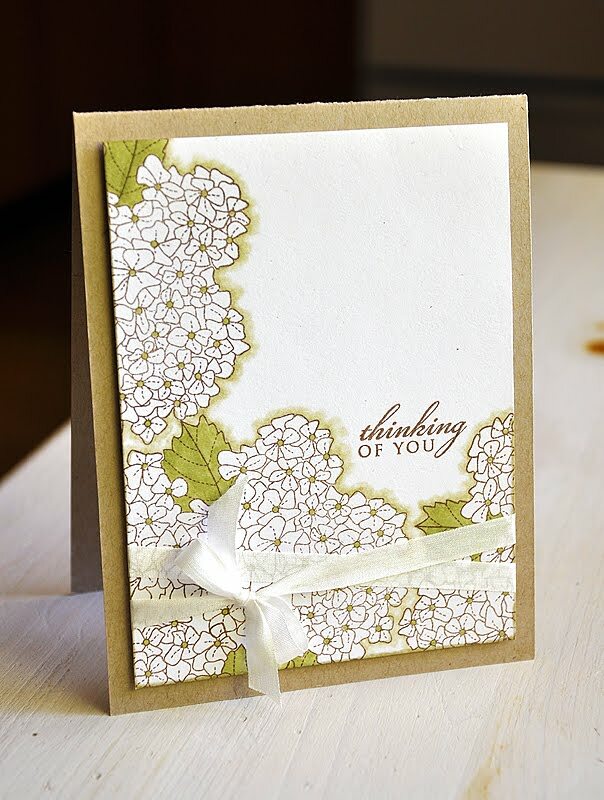 She isn't much into the flowery scenes, but she is going for more of a simple and elegant theme. I love how Tranquility Trilogy is the perfect fit for her sophisticated style. 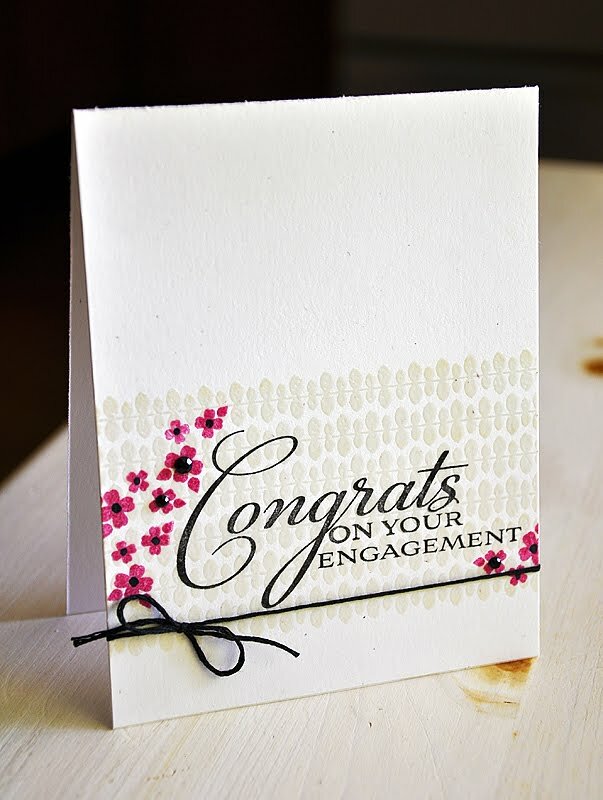 The card I've included in today's ensemble is perfect for the wedding. When I started creating today's ensemble, my intentions were to make this as a wedding gift. 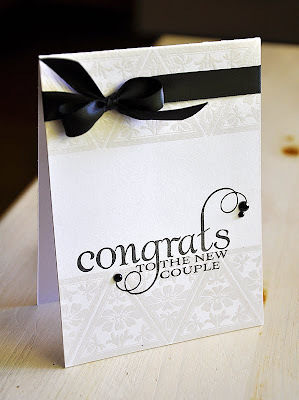 Thus, the wedding card. But this design could work perfectly as an engagement card as well, which is what I will give her along with the box of cards. I know she can use them now to thank those special people who are helping her along with the whole wedding process or possibly to her wedding party. Anyways, sorry for any confusion. The continued theme of this ensemble is the use of these gorgeous Tranquility Trilogy triangles in a heat embossed form. I started the card by stamping the sentiment (from Congrats All Ways) in True Black. 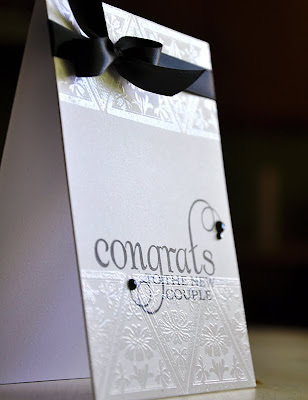 I then stamped the top and bottom of the card with the triangles in Versamark ink and heat embossed with clear embossing powder. Embellished with a few black rhinestones and black silk ribbon. 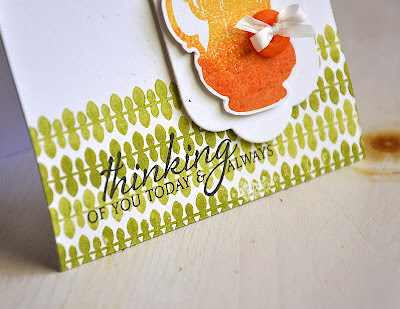 Here's A Tip: Something new I've been trying, since creating my Papertrey Ink release cards this month, is heat embossing patterns or images over a sentiment using clear embossing powder. I'm really loving the look of layers and the texture that it adds. Check out that shine in the photo above! It's a great way to keep the design simple, yet it adds a ton of interest at the same time. Now, onto the gift. 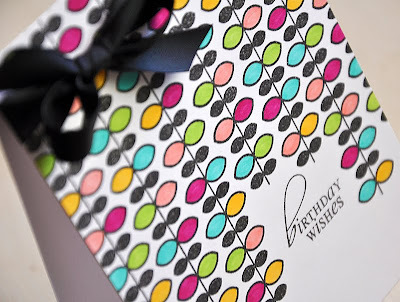 I started by assembling a Papertrey Ink Clearly Creative Card Box. This is the first time I've use a Papetrey Ink card box and I love the quality of these! They are unlike any others I have worked with before. 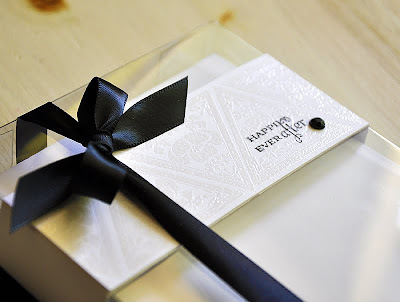 I then began to decorate with an embossed box wrap to match (this sentiment is included in Tranquility Trilogy). 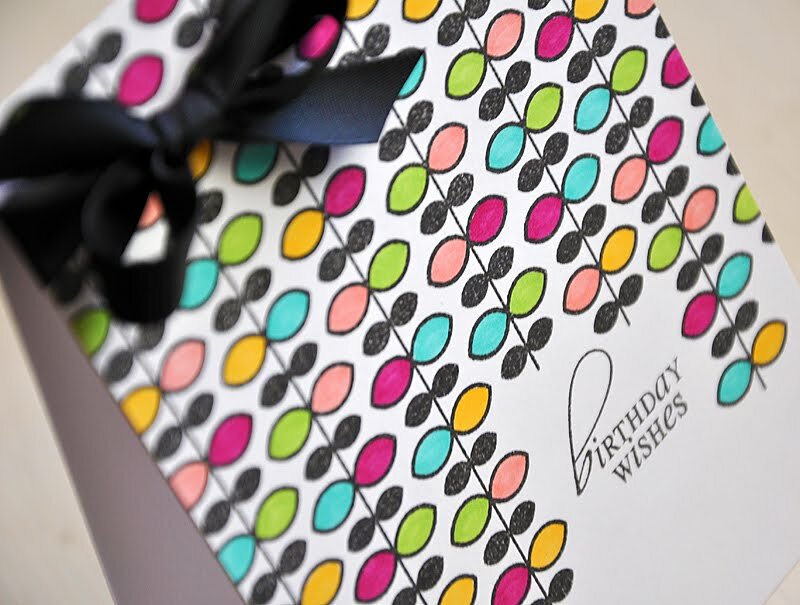 For an added touch of elegance, once all was packed inside, I wrapped the box with ribbon as well. Here's what's inside! These monogrammed cards are so simple, yet so striking at the same time. I've assembled five cards to fit into the box along with five envelopes. I simply started by stamping the "D" in the center of a white cardstock strip, in True Black, and let the ink dry completely. I then stamped the triangle images in Versamark and heat embossed with clear embossing powder. Then attached the strip, with dimensional adhesive, to a white card base. 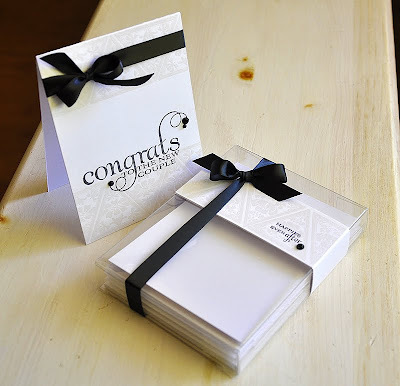 Super easy, and I think the Bride-to-be will love them for sure! Check out the assortment. Each monogrammed card is unique and they each features a different triangle design. Hello there! 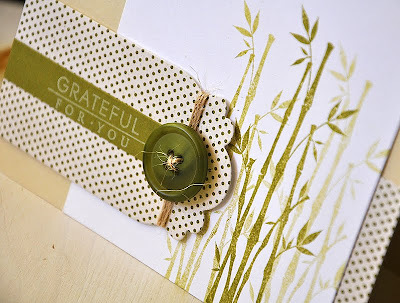 It's day four of the Papertrey Ink Countdown and I've got some more projects to share with you today that showcases my newest set Background Basics: Vines. Today is also a group post day, in case you missed it, be sure to check out my first post of today here. You may recognize the design of this first card. 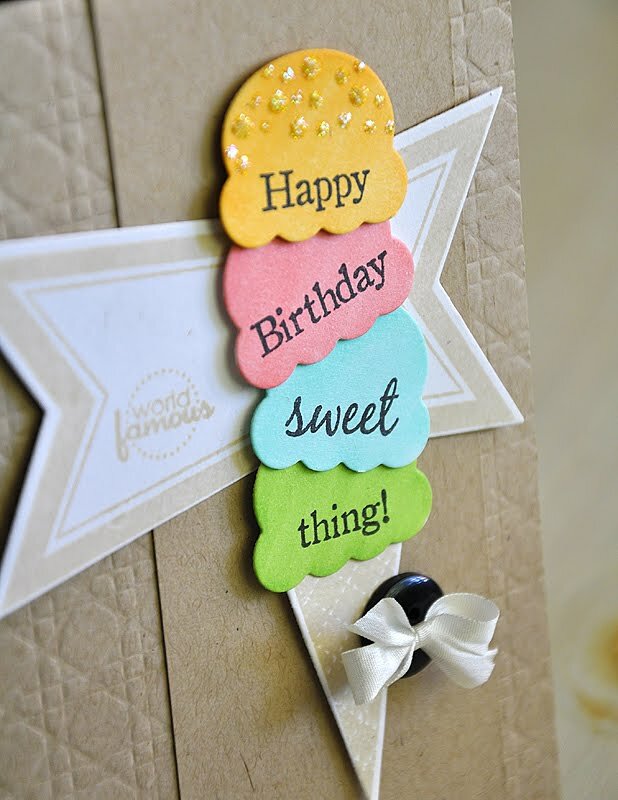 That's because it's a much brighter version of a card I shared with you at the beginning of the countdown, here. 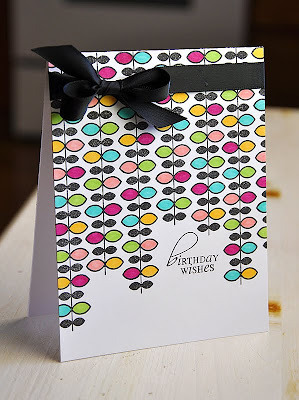 This time, I stamped the vines in True Black onto a white card base and then colored each open leaf with a fun assortment of brightly colored Copic markers. Finished it off with a sentiment from Make A Wish and a ribbon bow. 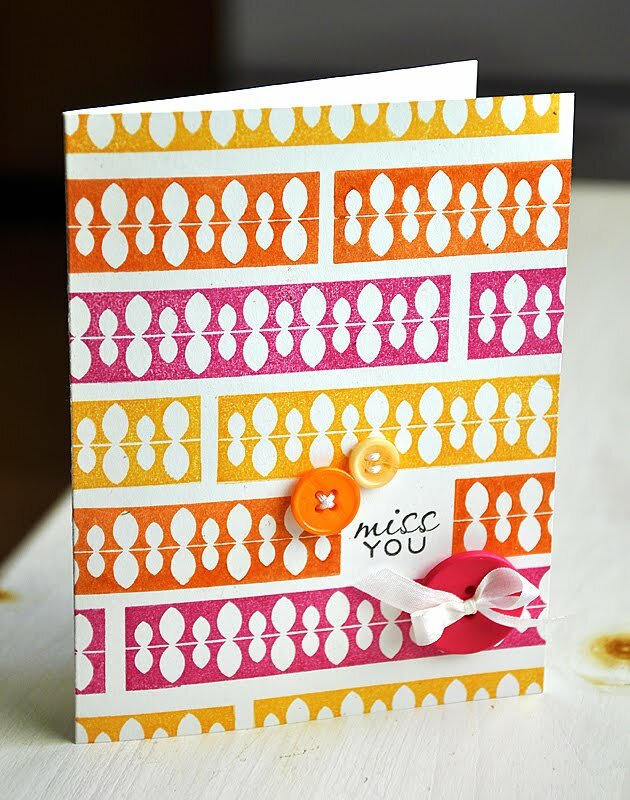 My last card of the day uses a familiar color combo of Raspberry Fizz, Summer Sunrise & Orange Zest (I really can't get enough of these juicy colors). 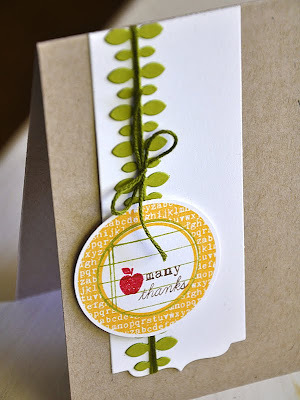 Stamped the solid vine border in each color, cut them out and attached them together with a separate piece of cardstock behind all three strips. 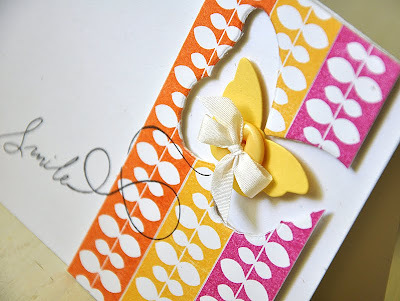 Stamped a sentiment and butterfly trail (from Happy Trails) over the card base and the vine border panel. I then die cut a Signature Series: Butterfly from the vine border panel and attached it to the card base with dimensional adhesive. To finish the card off, I embellished with a Harvest Gold Love Lives Here butterfly die cut and button. 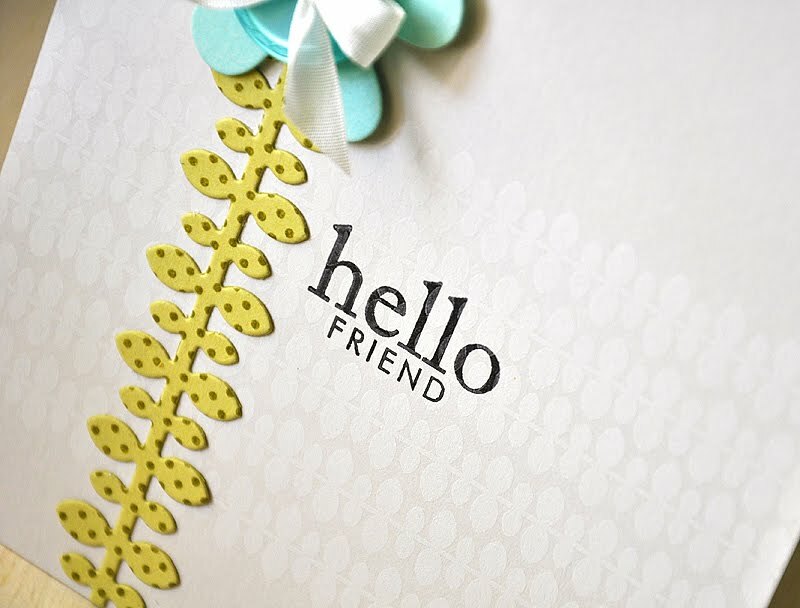 Don't forget that all of the new goodies you're getting peeks at this week will be available for purchase at Papertrey Ink, beginning on June 15. That's it from me today, but be sure to visit Nichole Heady as well as Lisa Johnson, Heather Nichols and Melissa Bickford for even more Countdown inspiration today! Hello all! And welcome to this months first Papertrey Ink group post. 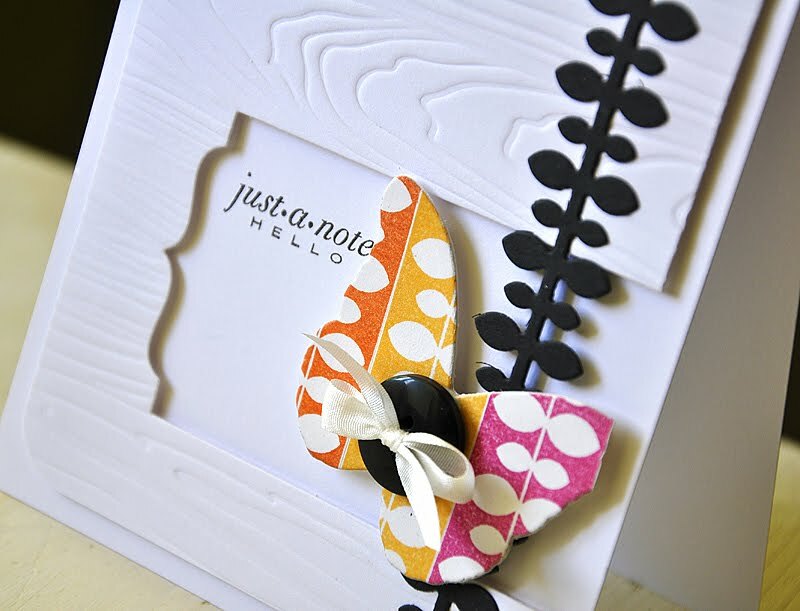 Today we, the design team, bring you samples featuring Half & Half and its coordinating die collection, all designed by Nichole Heady. 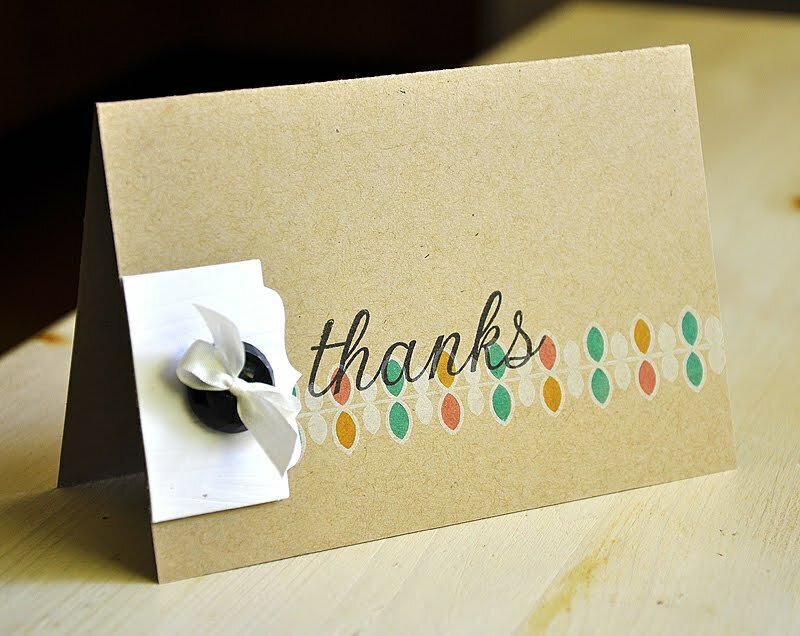 Be sure to visit Nichole's blog today for all the details. 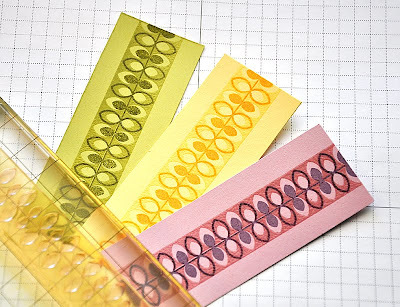 This set includes a few fun decorative strips, strip embellishments and coordinating strip dies. 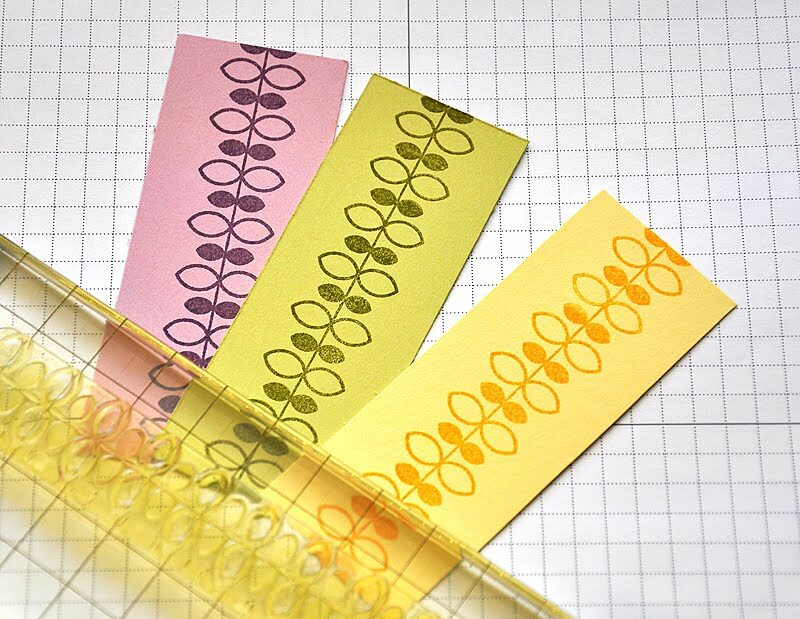 We will be sharing with you a number of ways to incorporate these strips horizontally and vertically, through our projects for today. So let me get started.... 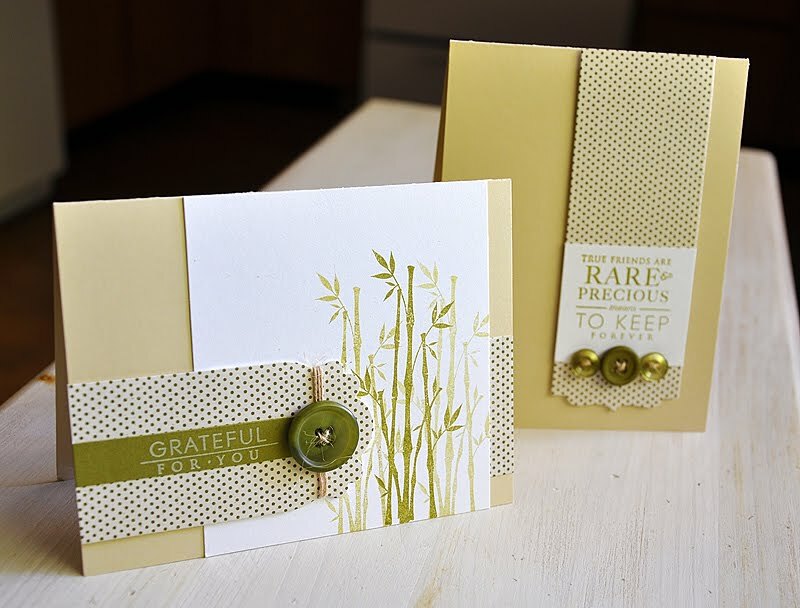 I kept things calm and serene for today, by using Lisa Johnson's newest set Peaceful Garden, polka dot pattern paper from the Pacific Vinyard pattern paper collection and a soothing color combo of Fine Linen, Rustic White and Ripe Avocado. First, the vertical version. You may notice that this card looks a little different from the group photo above. Well that's because I made a slight change after I took the photo. But I think that change made a world of difference. I started by die cutting a Half & Half strip from the pattern paper and adhered it to the card base with dimensional adhesive. 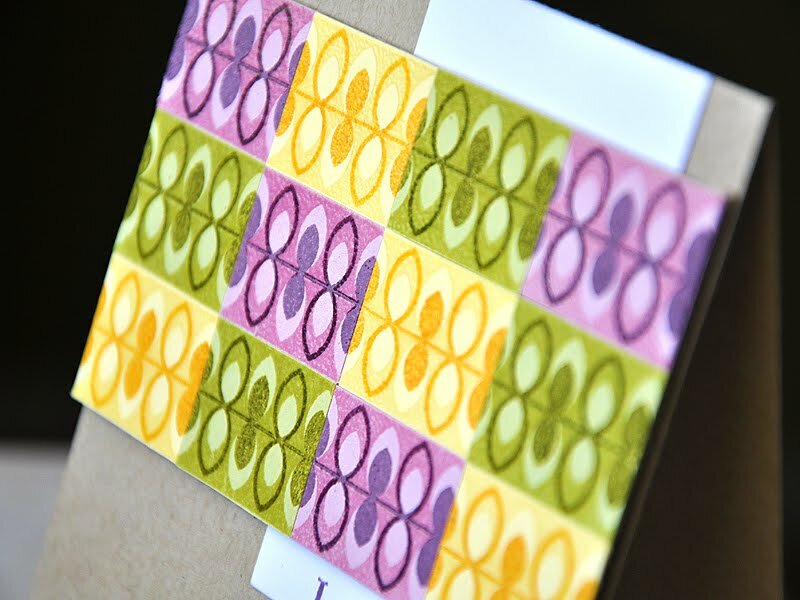 I then cut a sentiment square to fit and attached it over the strip. Then embellished with a row of buttons and twine. And my afterthought was to add a Leafy Vine Border die cut above and below the sentiment strip. Lastly, a horizontal version. 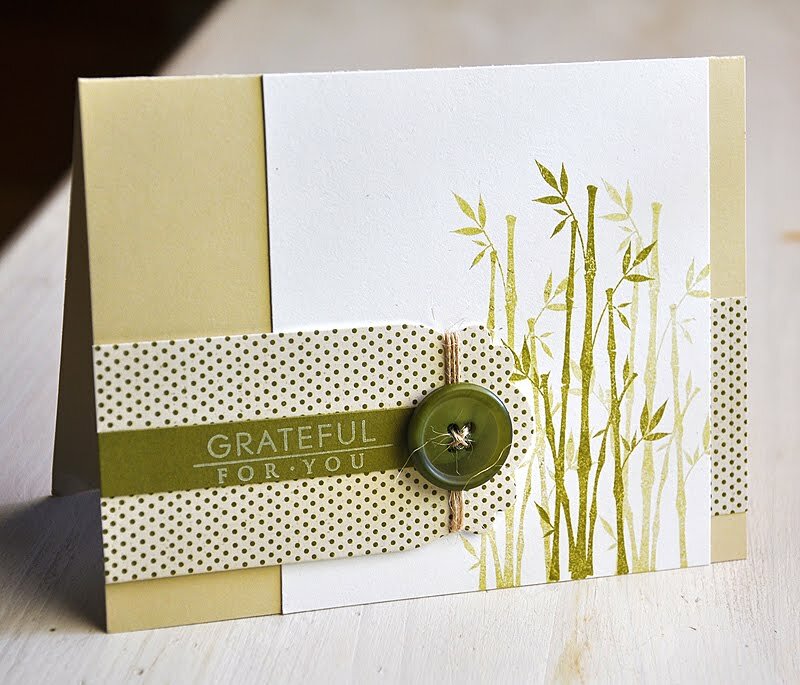 Started this card by stamping a Rustic White cardstock block with the bamboo image, from Peaceful Garden, in Ripe Avocado. To make this Half & Half strip appear to be wrapped around the card base, I attached a small piece behind the right side of the bamboo panel. Then attached the decorative edge of the Half & Half die cut onto the left side of the bamboo panel. Stamped and attached a sentiment strip and then wrapped the end with twine and a button. 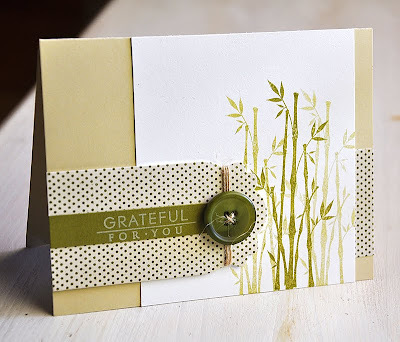 It's day three of the Papertrey Ink countdown and not only do I get to share more samples using Background Basics: Vines with you today, but today's samples feature something else I've designed for this month. I'm super excited to bring to my very first die design!!!... The Leafy Vine Border Die! 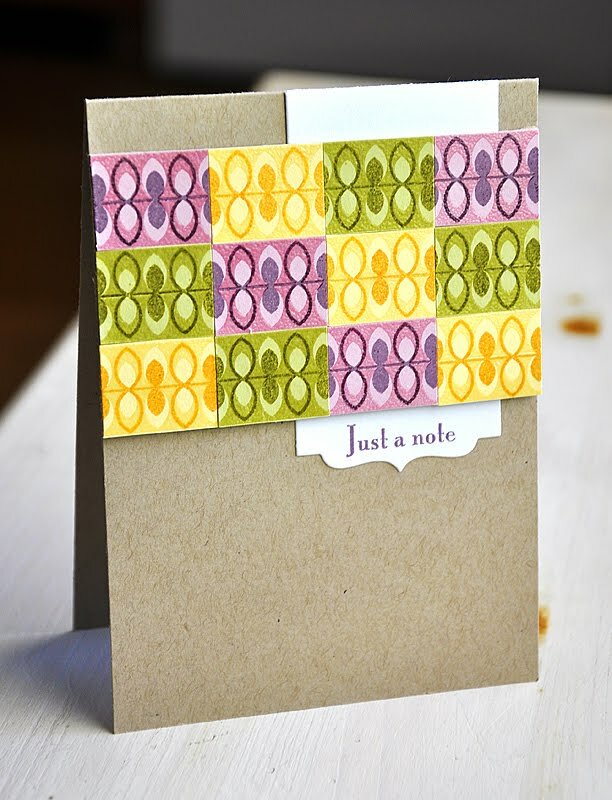 This die offers up a fun element to the Background Basics: Vines stamp set or to any of your own creations as well. Join me for a look... Here's the die in action, as a vine border. 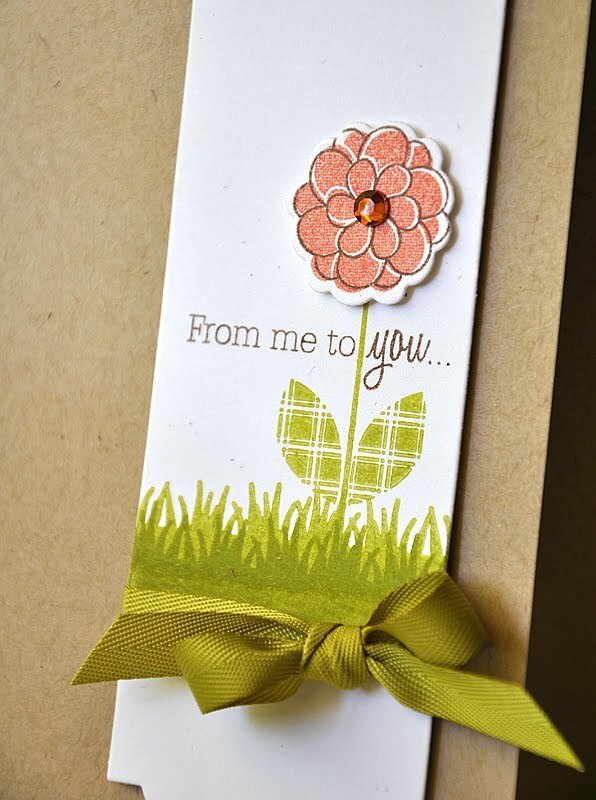 I die cut the border from Spring Moss cardstock, stamped with polka dots, from Polka Dot Basics II, in Ripe Avocado. Attached a Picnic Plaid impressed kraft panel to the top of the card base. 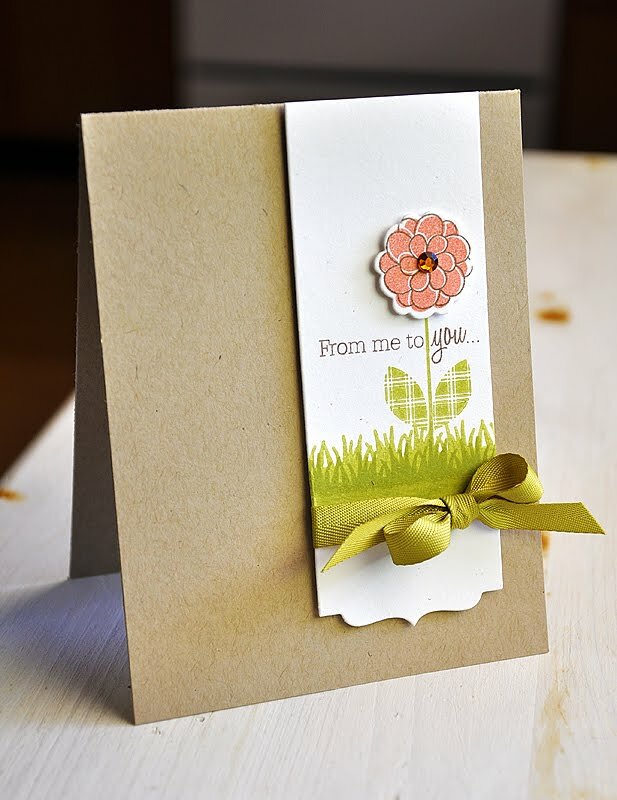 Then stamped a Fillable Frames #4 die cut with a Flower Fusion #6 sentiment, trimmed and attached. 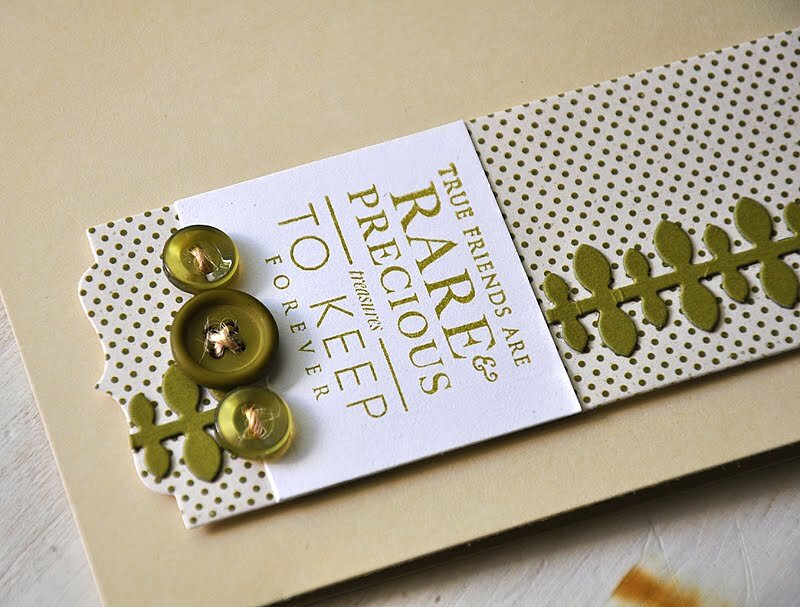 I then used the polka dot vine border to cover the seem. 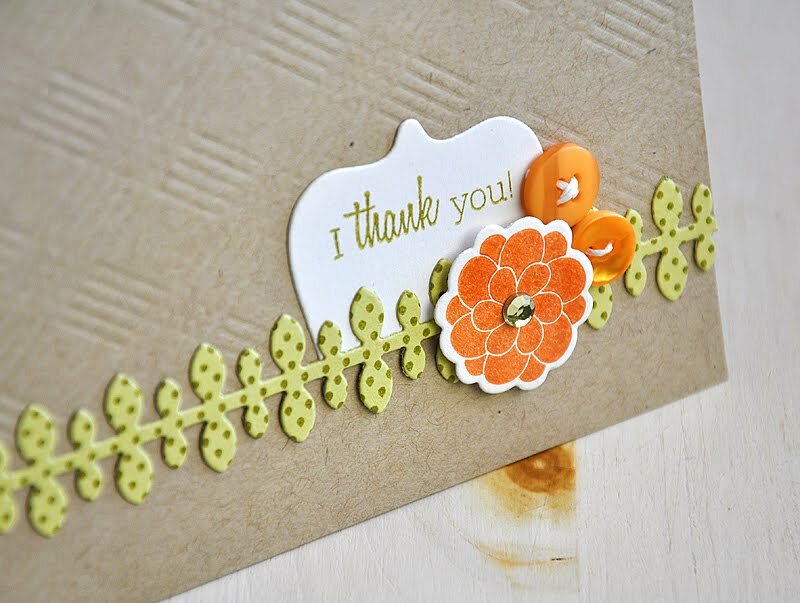 Attached a Flower Fusion #6 die cut and stamped flower and then embellished with a couple Orange Zest buttons and a green rhinestone. Here's the die in action, as a flower stem. I started the card by stamping an images from Background Basics: Vines in Fresh Snow ink onto a Soft Stone card base. This detail was hard for me to capture in a photo... so here's a close up shot. It's much easier to see in person. I used the remainder of the Leafy Vine Border Die die cut from above to create this polka dot flower stem. 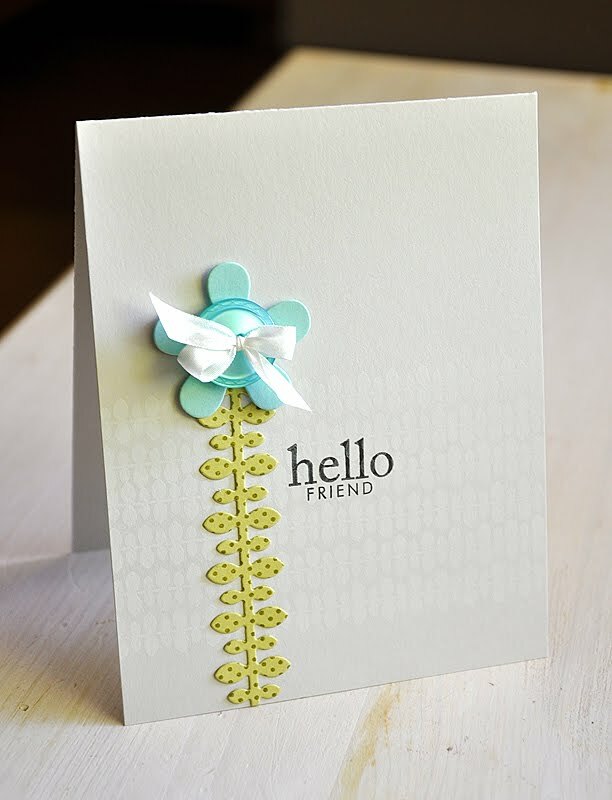 I attached it directly to the card base and then embellished the top with an Aqua Mist medium Beautiful Blooms II #3 die cut flower, an Aqua Mist button and a silk ribbon bow. Then finished it off with a sentiment. This die truly has a number of use!! I hope you've enjoyed my fun news today. Please, let me know what you think, I'd love to hear! 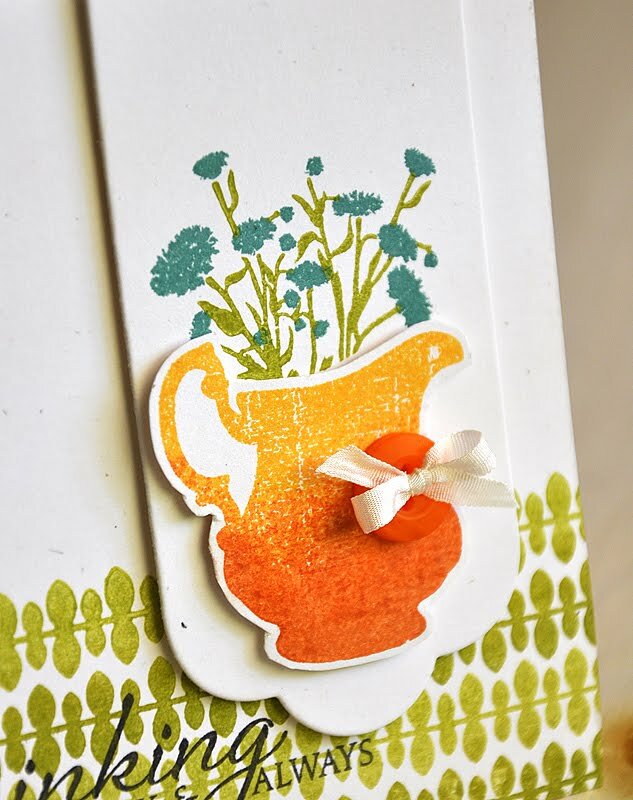 Now, be sure to check out what else is happening today... Nichole Heady will be sharing more Background Basics: Vines with you as well as join Lisa Johnson in sharing Peaceful Garden samples. And Heather Nichols and Melissa Bickford have more of their new set too. 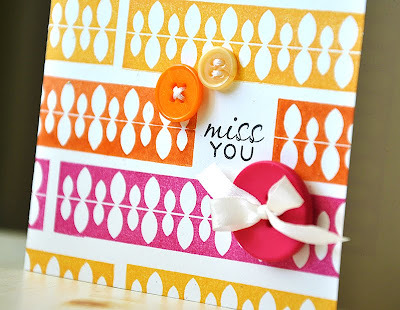 Also, be sure to tune in to Nichole Heady's blog today for all the details on the sale of this little die. 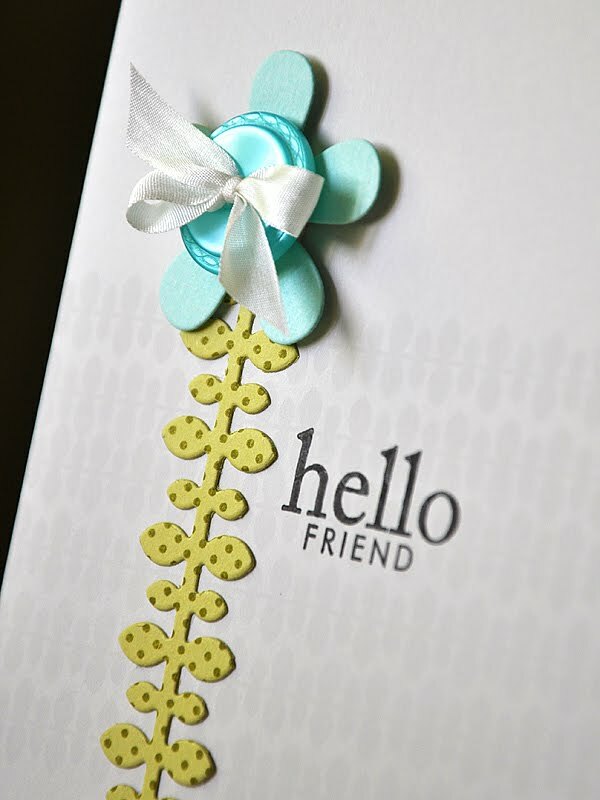 Accessories: 1/4" White Silk Ribbon, Aqua Mist Button, Leady Vine Border Die & Beautiful Blooms II #3 Die Collection. Hey all! It's day two of the Papertrey Ink countdown and so far, from your wonderful comments yesterday, sounds like some of you are almost as excited as I am about Background Basics: Vines. 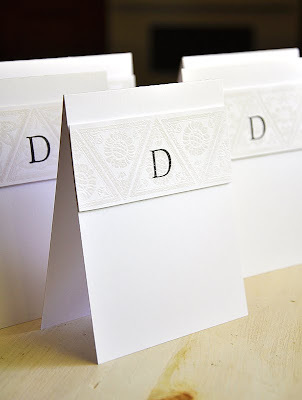 I love how this set is not only geared for creating hand stamped backgrounds, but it also makes show stopping focal patterns and focal images that really take center stage. Here's a couple colorful examples that feature the third image in this stamp set.... 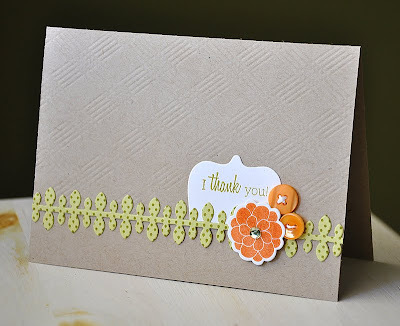 Using my current favorite color combo (one I can't seem to stop using these days for some reason) of Raspberry Fizz, Summer Sunrise and Orange zest, I stamped the solid leafy border image across the front of a Rustic White card base, making sure to leave room for the sentiment. To keep thing simple and really let this pattern shine, I embellished with only a few coordinating buttons and a tiny ribbon bow. Next up, is more of a detailed focal panel. To create this panel I combined the solid leaf border image (same as above) along with the single leafy vine image (one I featured in yesterdays post). I purposely designed these two images to fit and work perfectly together, giving you yet another fun option when using Background Basics: Vines set. I do love a set that gives you a ton of options and more bang for your buck!!! Here's How: To create this panel, I started by stamping the single leafy vine image onto Lavender Moon cardstock in Plum Pudding ink, Spring Moss in Ripe Avocado ink and Lemon Tart with Summer Sunrise ink. 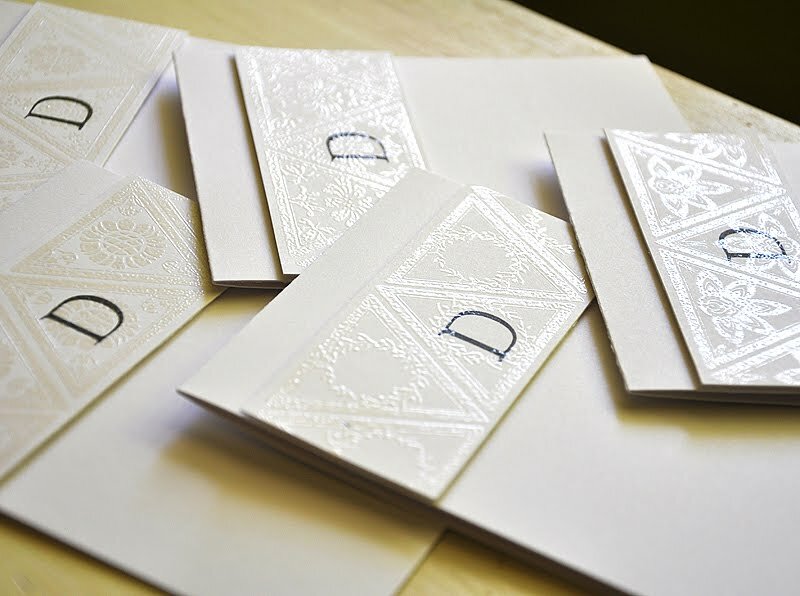 Then stamped the solid leaf border directly over, in Versamark, and embossed using clear embossing powder. This way you can still see the pattern underneth. Trimmed the edges and cut each strip into 1" pieces. 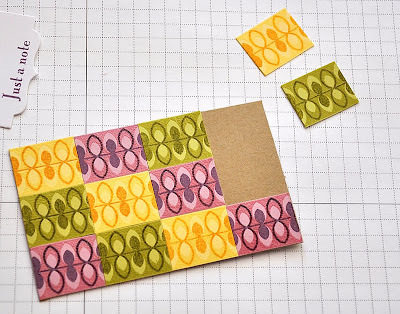 Assembled and attached the pieces onto a piece of kraft cardstock, cut to the propper finished size. 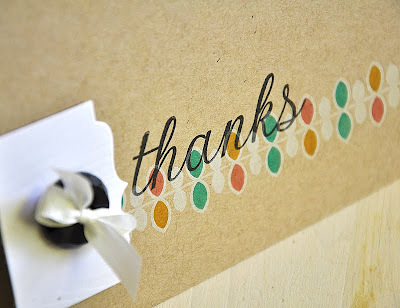 Then adhered this panel to a kraft card base, over a die cut sentiment strip, using dimensional adheisve. And that was it! So, I hope you've enjoyed these last two days of Background Basics: Vines. If you can't wait to get your hands on this set just remember it becomes available starting July 15th, for $15, at Papertrey Ink. 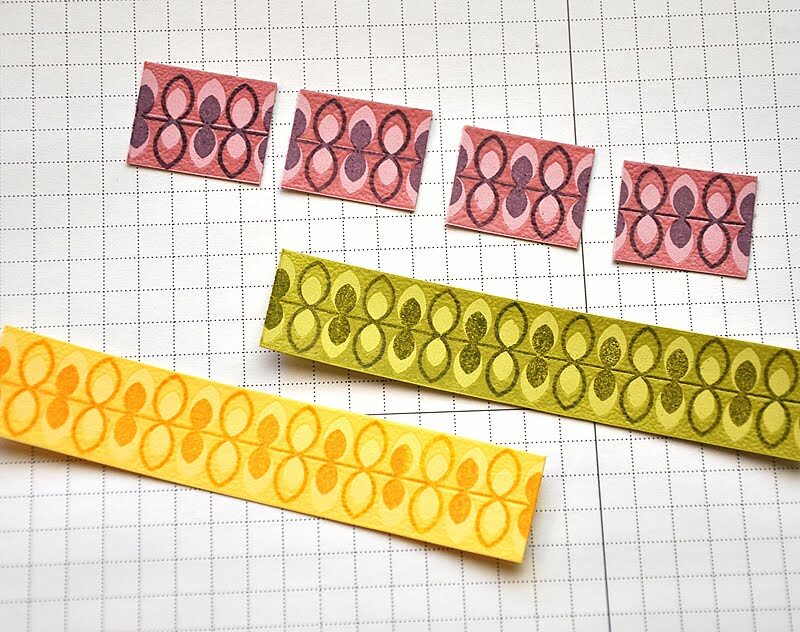 And even though this set technique includes three actual stamp images, with the combonation I've share with you today a forth option can be counted as well. It's like including and additonal stamp images for free. Wouldn't you say?! Anyways, be sure to check out the rest of the Papertrey Ink happening for today. Nichole Heady, Heather Nichols and Erin Lincoln will be featuring a few new goodies you won't want to miss. Lisa Johnson and Melissa Bickford have more of thier own set to share with you as well. I hope you enjoy!